Our Service Desk team gives you real human tech support that’s 100% local. SRP Workstation gives you unlimited access to our Service Desk for end-user workstation troubleshooting (Tier 1). Workstation support can be surprisingly time-consuming, so unlimited access ensures that you don’t end up paying more for those particularly troubling issues that take extra time to diagnose. Plus, quick resolution of end-user issues is important to keep your staff working. While technology is a great tool, it also can be a great distraction that can cause a lot of frustration and lost productivity when it’s not working well. If you prefer, you can choose to have your users contact us directly for workstation support, via phone or e-mail. This makes the troubleshooting process more efficient since they don’t have to go through an IT Manager to open a service ticket, and don’t have to explain the problem twice. If the issue lies deeper within your network or server and needs to be escalated to an engineer, we’ll reach out to your designated contact to approve the escalation before we proceed to do work on a time-and-materials basis. The monthly per-workstation fee includes not only unlimited workstation support, but remote monitoring and management of your workstations as well. Automated monthly updates to OS and antivirus software keep your workstations protected from the latest security threats. You’ll also receive monthly reports summarizing your workstation inventory, including hardware, software, and other system metrics. 24 x 7 real time monitoring of workstations; alerts are managed by our Service Desk during normal business hours. Monthly application of operating system patches and hot-fixes, disk defragmentation, software application updates (Adobe PDF, Flash, Office, browser, etc.) and other maintenance items. Monthly report showing hardware inventory, software licenses in use, and other summary information. Unlimited Tier 1 Help Desk Support for workstations. Requests may be submitted by telephone, web interface or email and all are tracked in our ticketing system. Our agents are installed on your workstations (desktops and laptop computers), so that we can monitor and manage your systems remotely. Your users can either contact us directly, or you can have all support requests submitted by a central contact (such as an IT Manager or Office Manager). Requests may be submitted by telephone, web portal, or email and all are tracked in our ticketing system. Our Service Desk team will triage the issue and determine its priority and assign a resource to work on the ticket. Tier 1 workstation issues will be resolved by our Service Desk staff and are included in the monthly fee. If the issue lies deeper than tier 1 and requires escalation to engineering staff, the work will continue on a time and materials basis. (We’ll contact you for authorization before we proceed if it looks like it could take some time to resolve.) Contact Us if you’d like to know more about what services are included in the monthly fee. Is SRP Workstation right for me? 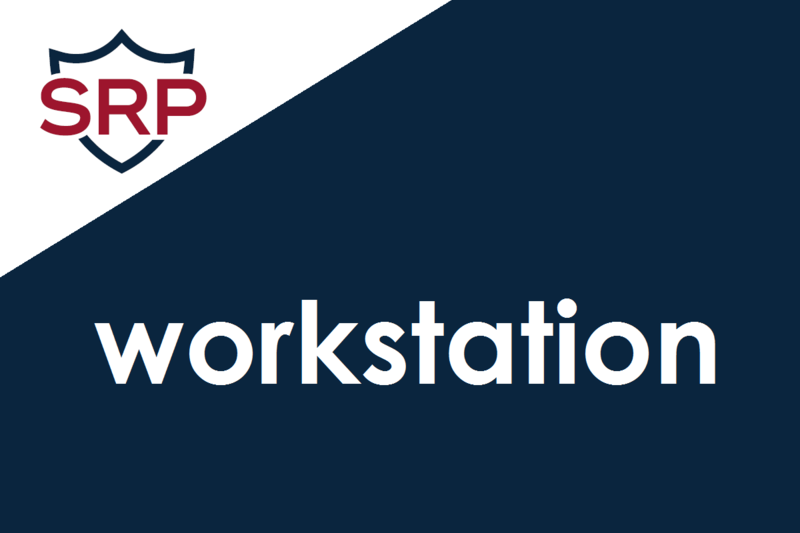 SRP Workstation is a fixed-fee service with a ten-user minimum. Accordingly, it works well for organizations with at least 10 users, or who need at least a few hours of IT support help every month. If that doesn’t sound like your business, or you prefer that we work on a time and materials basis, you can always use our Incident Support option instead. Contact us to talk about both options and see which one fits best.